Bandai Networks Japan is collaborating with Living Mobile Germany, a European developer and marketer of mobile-phone games, to offer a mobile-phone version of "Tamagotchi" for telecom providers throughout Europe. Bandai created a global craze when it released the hit portable LCD game in 1996, selling 40 million units worldwide. In 2004, the "Tamagotchi Connection" series was released, and has already sold over 15 million units worldwide, the mobile-phone version will be available across Europe beginning in December 2005, according to the company. Japanese police searching for the killer of a seven-year-old girl are studying internet bulletin board messages boasting of a plan to kidnap a girl after school, a report said on Monday. Newspaper delivery man Kaoru Kobayashi pleaded guilty earlier this year to drowning a kidnapped seven-year-old girl in a bathtub and mutilating her body in a crime he documented in photos that he sent by mobile phone to her mother. Weathernews, the world's most experienced and trusted provider of mobile weather content with over 1.5 million paying mobile subscribers, today announced its newest offering, the first and only mobile Java application to incorporate MPEG 4 video technology bringing the weathercasts of local broadcast stations to subscribers' cell phones. Called the Weathernews Network, the new mobile multimedia technology allows subscribers to watch personalized video feeds of local weather news and conditions from their trusted, local broadcasters right from their cell phone (WeatherNews USA is owned by WeatherNews Japan -- Ed.). NTT DoCoMo Press Center; When businessman Hideki Suzuki lost his beloved mobile phone, a 3G FOMA smart phone equipped for electronic wallet and other e-commerce applications, he was naturally concerned. If someone were to use his phone maliciously to make purchases, transfer funds or view confidential data, or if the problem somehow impacted his business contacts, it could have been a disaster. But Suzuki did not panic. He simply went to a pay phone booth, dialed his number and let the phone ring a preset number of times. Then Suzuki smiled, because he had just locked his phone's buttons and smart card features -- remotely, automatically and immediately. Marketing initiatives targeting the mobile consumer must integrate communications and content in order to have the greatest impact, according to a study published this week by researchers at the International University of Japan. Based on the results of 30 in-depth interviews of mobile users in Japan and Indonesia, this research effort developed clearly defined "mental maps" which explain the ebb and flow of consumer perceptions of the mobile Internet. In fact, results show very few culturally specific differences between Japanese and Indonesian respondents, suggesting instead that international differences in usage of advanced mobile data are due to infrastructure differences and the overall structure of a country or region's mobile value chain. Warner Music Japan and KDDI Corp. have announced an agreement which will allow access to what is billed as the world's first mobile music bundle: a package of audio, video, graphic and text content in a single, downloadable file. The service is available on au's CDMA 1X WIN network and launched on 1 December with Sean Paul's Za Trinity album. The partners' press announcement [in Japanese] indicates a steady flow of new material in the pipeline for 2006. The music bundles are available on Warner Mobile - also known as 'WAMO' - which aims to allow club members to gain earlier-than-anywhere-else access to the label's releases, artist interviews and live event schedules. Mobile Cohesion, the company that has pioneered the concept of partner, profit and performance focused relationship management solutions for the mobile industry, has announced a collaboration venture with leading content management company ubit from Japan. ubit has been focusing on the mobile internet since 1999 and its MS2 system is now serving more than 300 mobile sites worldwide, including Orange Group and Nikkei Business Press. Omron Corporation, a $5.5 billion Japanese manufacturer of automation and sensing products, will invest $20 million worldwide over 2005 and 2006 as a first step in seizing a larger share of the U.S. and global RFID market. The company's aggressive entry into the U.S. marketplace focuses on its RFID label inlay and reader products. Omron president and chief executive officer Hisao Sakuta, who has appointed himself as project leader, said "RFID is an important, global initiative which requires a large investment. I believe RFID could be a major growth engine for the company." DoCoMo has announced plans to invest approx. 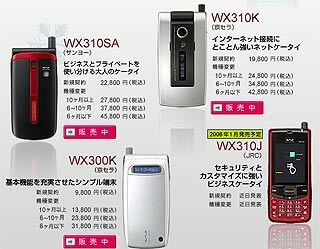 $234 million in Japanese handset software companies Access and Aplix. Firming it's position as the second largest investor in Access, DoCoMo will increase their current 7% holding to just over 11% for an estimated cost of $124 million. DoCoMo uses the company's NetFront browser in most of its 3G FOMA handsets and Access recently acquired PalmSource. Another $110 million investment in Aplix will give DoCoMo the top shareholder in that software developer with nearly 18 percent. Applix is working with Sun Microsystems on the so-called Star Project to improve Java software control systems for mobile devices.